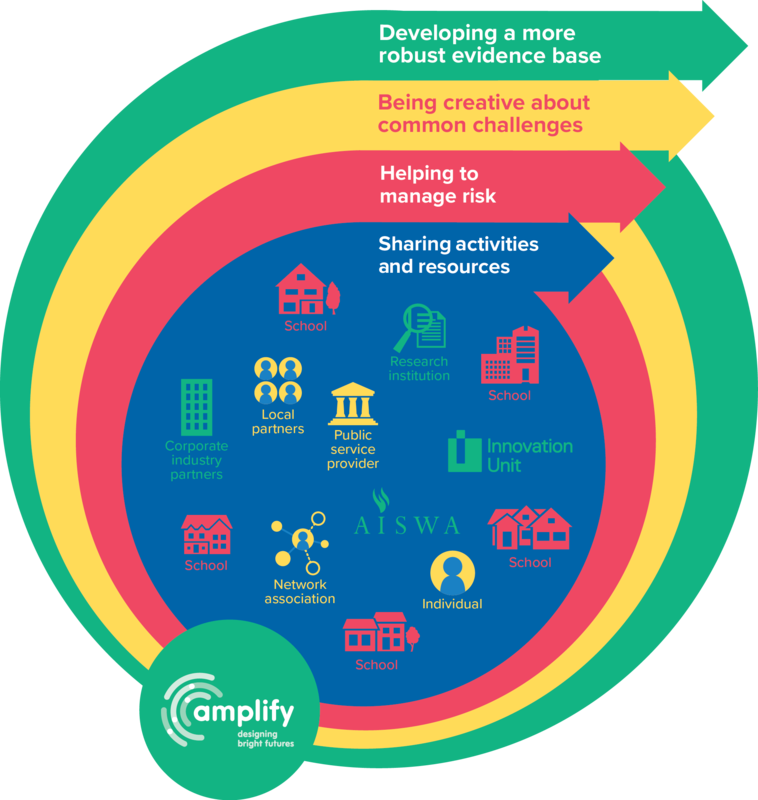 Amplify is an ambitious new initiative from AISWA and Innovation Unit Australia. Our aim is to increase the proportion of Australian students who are deeply engaged in their learning, through the development of teaching, learning and assessment practices that promote engagement. Over the coming year, and beyond, we will work with interested schools to establish a ‘community of practice’. We will provide the professional learning, support and work with the ‘community of practice’ to develop and implement bold new professional practices that engage students in meaningful learning. A community of practice is a group of educators with a shared passion, concern, or belief (domain) who will engage in a process of collective learning in order to develop new practices that engage students in powerful learning. Collaboratively they will learn with and from one another in order to generate new insights, practices and evidence. In this community, the design of new practices becomes richer through the diversity of those involved. Each member brings a wealth of different perspectives, professional knowledge, context and experience to the collective wisdom, challenging participants to test assumptions, immerse themselves in new knowledge and consider ideas and strategies they might not normally have the opportunity to explore. A community of practice values and builds the shared repertoire, resources, knowledge and experiences of all participants to overcome the barriers and take advantage of opportunities they may encounter along the journey towards designing new practice. There are many great reasons for schools to engage in this work together. Communities of practice create opportunities for collaboration and partnership across different contexts. "Amplify became an umbrella and the facilitating tool for the Junior School to initiate significant change; it gave a pathway for this to happen and involved all members of the community." "Communicare Academy demonstrates an innovative learning community that works through building a strong relationship with each of its students. Staff show high levels of commitment and motivation in a school that can only be described as extraordinary."